Sheri Codiana works in high-tech, but she's also a graduate of the San Francisco Cooking School. With a stint as an extern at San Francisco's Bar Tartine restaurant, a stage at Manresa Bread in Los Gatos, and multiple gigs testing recipes for well-known cookbooks, Codiana continues to apply her culinary skills to a number of passion projects, especially impressive given the demands of her day job. With a love for advanced kitchen gadgetry (she owns a Smoking Gun and a tabletop centrifuge, among other pro-tools), Codiana is especially fond of her immersion circulator. This appliance allows chefs and cooks to prepare food using the sous vide ("under vacuum") method, a technique in which food sealed in jars or bags is cooked in water held at a constant temperature. Codiana, a yogurt lover and Team Yogurt member, recently brought me several jars of homemade yogurt she'd made using this technique. Her goal was to compare and contrast the flavors and textures of yogurt made with varying combinations of cow milk, heavy cream, and sheep milk. She also just returned from two weeks in Turkey, so she brought over some homemade ayran as well. Her only regret? She forgot to bring me the homemade butter she'd churned the day prior (or so she said). I asked Codiana why she used the immersion circulator in her yogurtmaking. Her response? 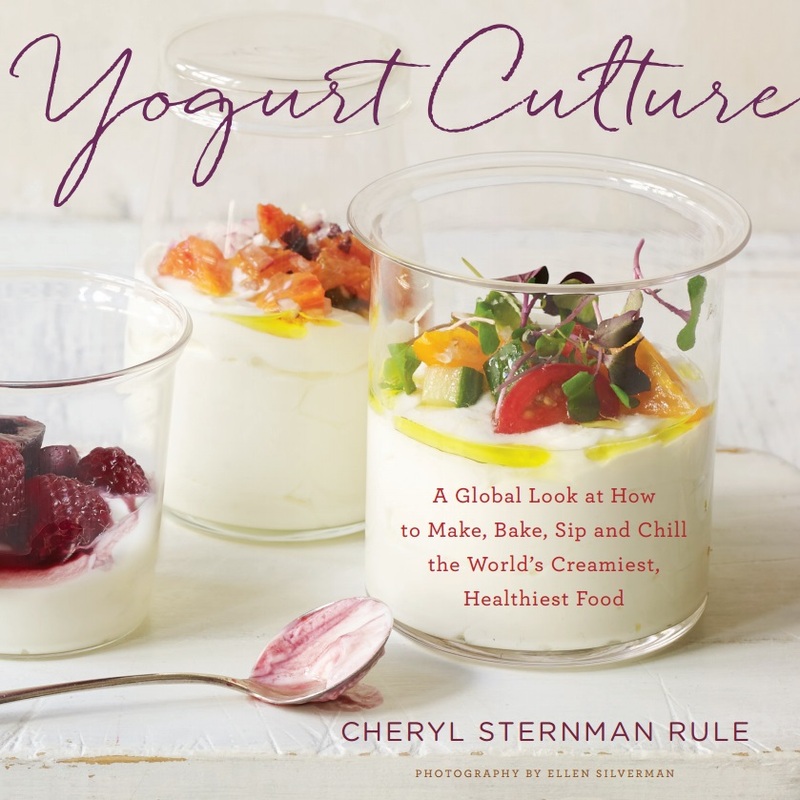 "I wanted to explore different ways to make yogurt that were more hands-off. That led me to the experiment with the immersion circulator. Because I'd just come back from Turkey, I took things a step further and decided to make yogurt from both cream and sheep milk, and also make butter so I could have the ayran." Codiana explains that churning yogurt into butter is only possible when the yogurt's fat content is sufficiently high, so in her case, she added a touch of heavy cream to the sheep milk at the outset of yogurtmaking. After full fermentation, and chilling, she churned the resulting yogurt in a food processor until the butter collected on top and the ayran (or buttermilk) settled underneath. 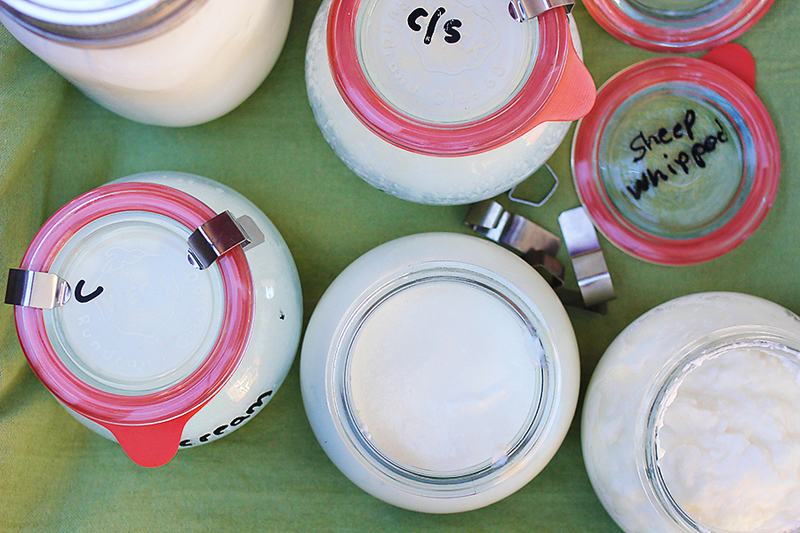 Together, we tasted Codiana's sous vide yogurtmaking experiments. A cow milk yogurt that she had strained for 8 hours was tangy and thick, with discernible buttery nubbins that melted on the tongue. A whipped sheep milk yogurt was strongly flavored (a bit funky, we agreed), but beautifully textured. The ayran was refreshing and light. Codiana explained that in Turkey it's often salted and served with mint. It's rare that I meet someone outside the world of professional yogurtmaking whose passion for yogurt matches my own. But in Sheri Codiana I have, and I'm proud to call her both a friend and a member of the larger Team Yogurt community.